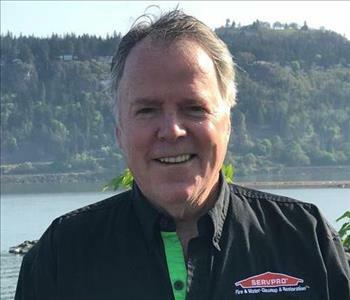 Dennis is the Project Manager/Estimator at SERVPRO of East Clackamas, Hood River & Wasco Counties. He has been certified in the following certifications from the Institute of Inspection Cleaning and Restoration Certification (IICRC): Water, Fire, Upholstery, and Advance Structural Drying. Before SERVPRO, Dennis was the Owner/Operator for 35 years of a successful chimney company that specialized in the restoration of brick & stone. Dennis has a wife, 4 children & 2 grandchildren and spends his free time skiing, snowboarding, fly fishing, kayaking, hiking and paddle boarding. 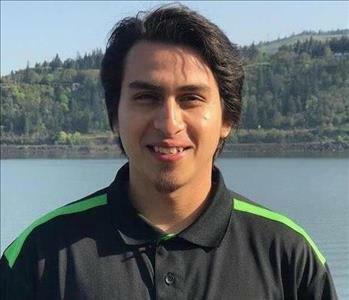 Antoine is part of our Production Crew at SERVPRO of East Clackamas, Hood River & Wasco Counties. He is currently certified from the Institute of Inspection Cleaning and Restoration Certifications (IICRC) in Water Damage Restoration and in our Employee Certification Training Program (ECTP) he is certified in Crew Training and Fire Restoration. He is continuing to expand his knowledge here at SERVPRO. Prior to working at SERVPRO, he was the Department Manager in one of our local McDonald's. He has a three year old daughter and a beautiful wife. Antoine grew up in the gorge area, his hobbies include; hiking, bike riding, playing soccer, and caring for his loved ones. Raymond is part of our Production Crew at SERVPRO of East Clackamas, Hood River and Wasco Counties. 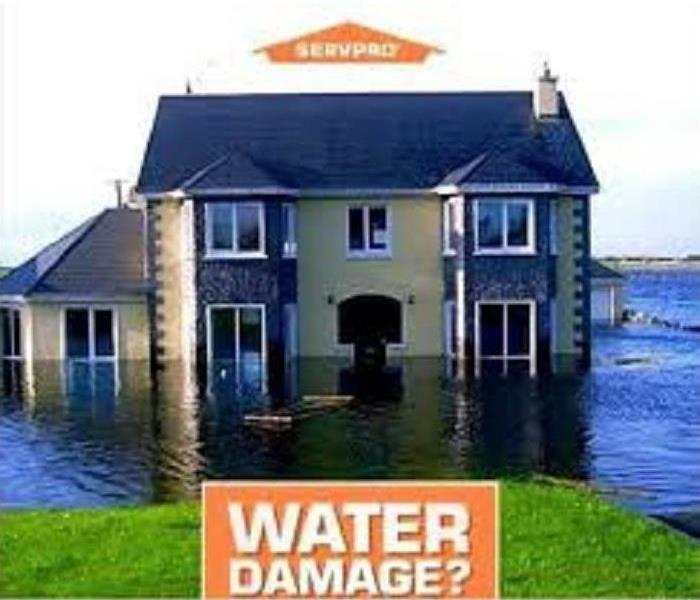 He is currently certified from the Institute of Inspection Cleaning and Restoration Certification (IICRC) in Water Damage Restoration. He is also certified in our Employee Certification Training Program in Crew Training and is continuing his education and knowledge here. Raymond grew up in Moiser, OR during his childhood years and currently lives in The Dalles, OR. He had a son that meant the world to him and has an amazing family that means the world to him. He has many passions like; hiking, camping, and fun events with his family. 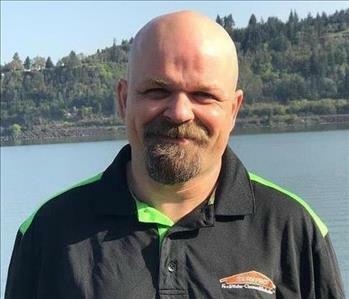 Tony is part of our Production Crew at SERVPRO of East Clackamas, Hood River and Wasco Counties. He is currently certified in our Employee Certification Training Program in Crew Training and is continuing his education and knowledge at SERVPRO. 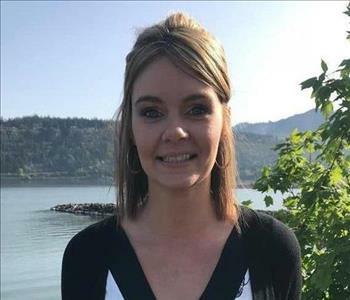 Shayla is our Office Manager here at SERVPRO of East Clackamas, Hood River & Wasco Counties. Shayla is certified in Crew, Contents, Carpet and Upholstery, Water and Fire Restoration. She is married and has three beautiful children. She likes to spend time outdoors hiking, fishing and camping. Her favorite thing to do is spend time with her family. Shayla has lived in the beautiful Columbia River Gorge her entire life. Charlea is our Administrative Assistant & Job File Coordinator at SERVPRO of East Clackamas, Hood River & Wasco Counties. Charlea has been at SERVPRO since October 2018 and is already certified in Crew Training, Fire Restoration and Water Restoration. Charlea is in the process of completing her Carpet & Upholstery Cleaning as well as Contents Cleaning training. Charlea has recently moved back to her home of The Gorge along with her husband and their 5 year old daughter. Some of her hobbies include hunting, fishing, camping, hiking and anything else having to do with the outdoors.